"I remember the first time I saw her speak. She had a room full of frontline leaders hanging on her next word. It was pretty remarkable since none of us actually wanted to be in the room that day. Forced professional development is usually the kind of stuff that left the people scurrying to the bathroom once an hour or hoping to feign a family emergency to escape. Well it looks like that day has arrived! Black Pearl Coaching has grown by one! Please join me in welcoming Sarah Stevens, new Co-owner and Director of Business Development, to the team! Sarah comes to Black Pearl after a ten year career in corporate healthcare administration. 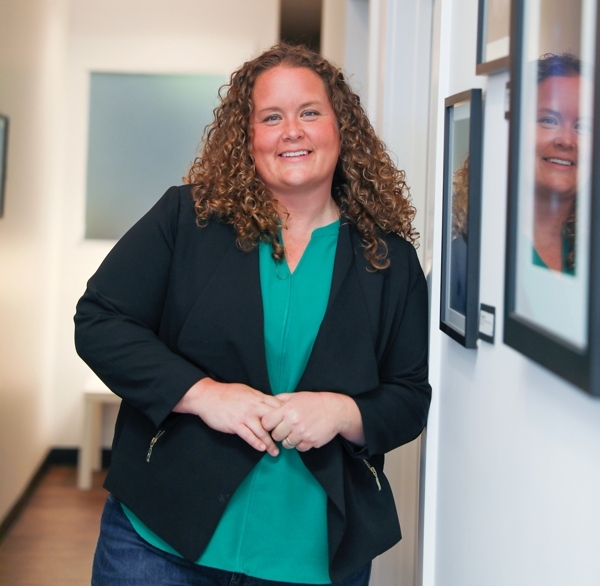 During her healthcare tenure, Sarah held numerous positions that helped her develop a particular skill for building a business. Whether she was leading a large team of leaders or spearheading a new construction project, Sarah could be trusted to deliver the results the system required while finding a way to take care of the people who helped her achieve her goals. This was something that I had the pleasure of watching her do many times over, and I also knew that I would be privileged to work with her someday. In 2016, Sarah left her position in corporate healthcare to pursue work that better aligned with her sense of passion and purpose. She quickly landed a contract with a start-up nonprofit that was looking for an Executive Director who could build a mentoring program for local women. Sarah was the perfect fit for that position with Lead(h)er and remains in that role to this day. Her innate ability to build relationships was put to great use as she determined the best way to connect women all across the region. After only 18 months of operation, Lead(h)er has put together over 200 women with mentors, showcasing Sarah's ability to develop a people-centered business model that delivers a huge positive impact on the community. As Sarah started to get a taste for the world of the entrepreneur, I figured that there was no better time than the present for me to see what she thought about bringing some of her skills to Black Pearl in a formal capacity. She enthusiastically agreed to give it a shot and we have spent the past few months quietly working on some things behind the scenes to test the professional fit. As it turns out, we are kind of a match made in heaven. Sarah brings a keen business acumen, a sharp wit, a ton of creative talent, and more than just a little drive to make the world a better place. Her skill set will allow Black Pearl to expand the menu of services to include a comprehensive suite of services related to Business Coaching, and THAT is something to get excited about. I've long believed that a full and abundant life isn't only meant for us individually. It is also the birthright of the business that we conduct in the world, and as a team, Sarah and I will help you find the abundance that you deserve. So, you will be hearing much more from Black Pearl over the next several weeks, but for today, let's just celebrate how far we've already come, and anticipate the joy of the journey ahead of us. We do hope you will come with us, allowing us to be your companions for your deep dive, on your way to a full and abundant life.